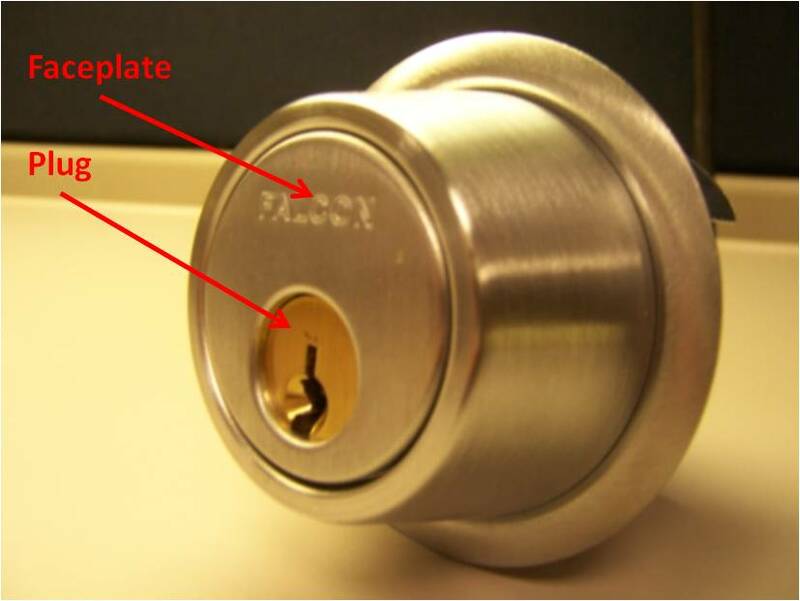 Falcon D series deadbolts will not accept Schlage Key-in-lever cylinders. The faceplate plug hole is smaller in diameter than the Schlage plug and does not fit flush when installed (see picture below). Specify "CP6" as the cylinder suffix when ordering D100 or D200 locks (All other Schlage keyways are not available).